Jet skiing at Cedar Island. Sans the jet ski. We’re not fancy people with fancy things. Hey, it’s not like I completely reject the material life though. We do so enjoy vacationing in a natural setting kinda venue and all. And I’d rather be in the quiet company of family and my beloved dogs than among throngs of tourists. Micron says he can go either way. The big guy thrives on the attention of folk, because as he says, once someone rubs your belly they’re no longer a stranger. But our mighty Micron is also an appreciator of what nature can offer up. On the first Saturday of summer, we Ohioans were not surprised to find ourselves in the midst of a hot, humid afternoon. The dogs had placed themselves strategically about the house next to the air conditioner vents. Wouldn’t it be so nice if we lived near water, I said to the Husband. So Micron could go swimming again? Like he did on vacation last month? But because we’re not fancy people with fancy things, we did what we could for our water lovin’ dog. This, says Micron, is the best day ever! Great photos and how very cool to have your own play pool. Happy Wednesday! I gotta get me one of those little pools for the summer! Looks like fun! He definitely looks happy. Have a Wonderful Wednesday! Who doesn't love their own pool?!? He looks thrilled with the pool!! 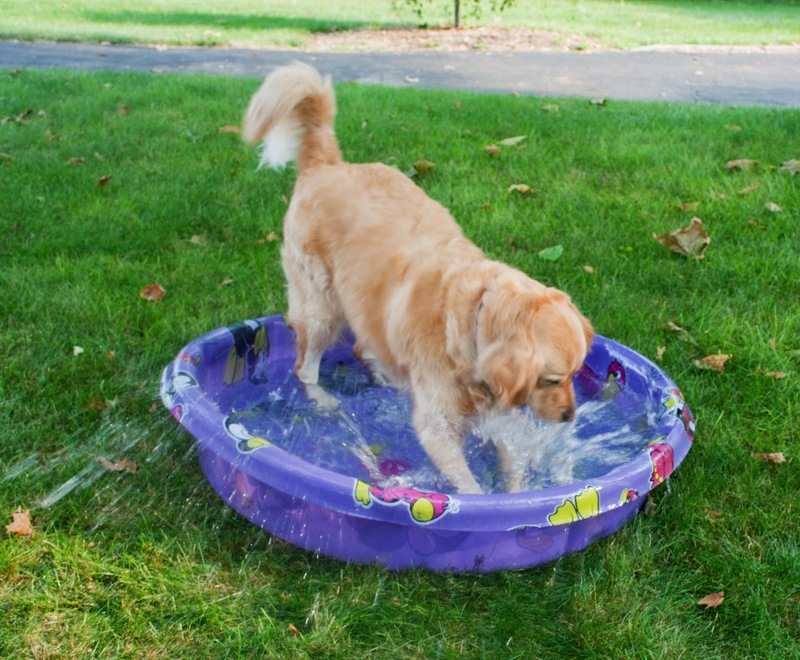 I gots me a pool too. Mine is blue. It is grrrrrrrrrrrrreat. 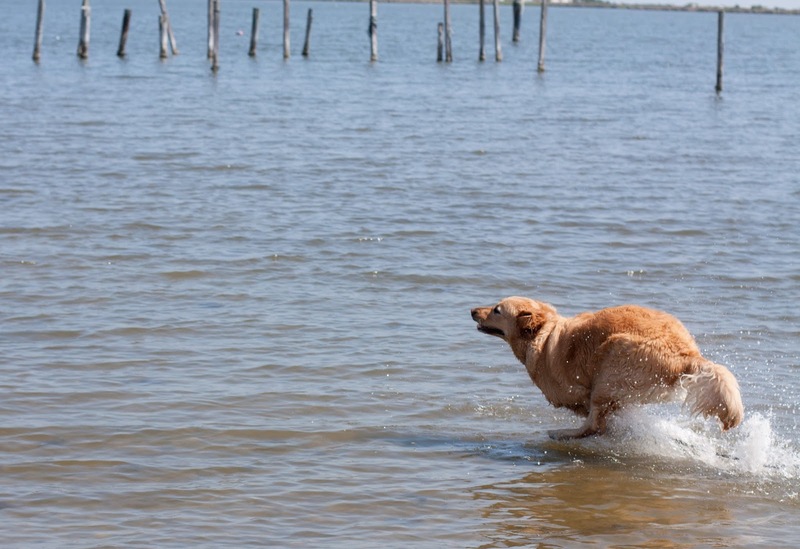 Micron looks like a true retriever – ANY water will do! I don't know, Micron looks pretty happy to me! I think you made his day!! I love it! But don't forget to stick your feet in too. If your feet are cool, everything feels good.